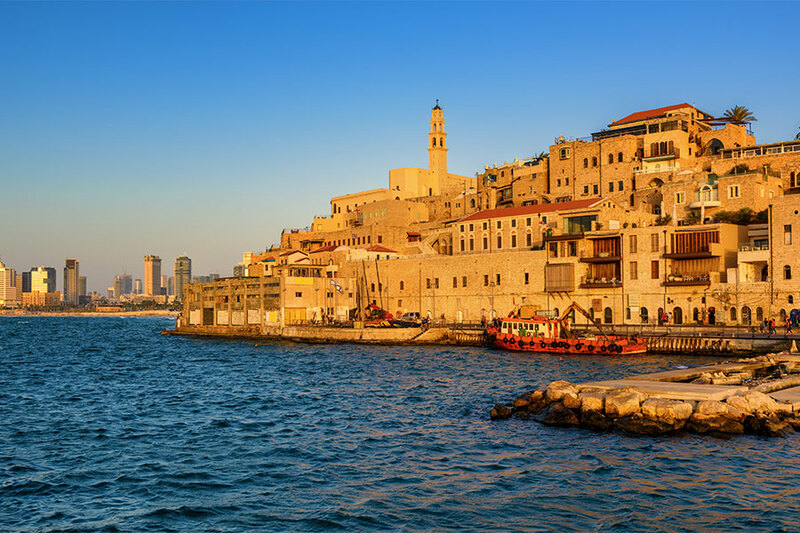 Please note: Once we arrive in Israel, all breakfasts, lunches and dinners are provided and are included in the cost of the trip. Depart USA for overnight flight to Tel Aviv. Dinner and Breakfast will be served on board. 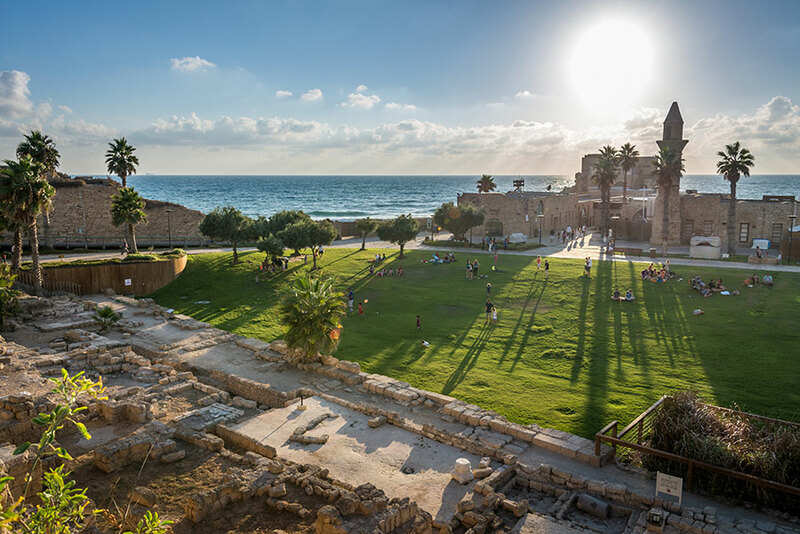 Upon arrival at Tel Aviv Airport we meet our guide and driver and then we start our Pilgrimage by visiting Caesarea Maritima, the city and harbor that was built by Herod the Great and the place where Peter baptized the Centurion Cornilios and his household. 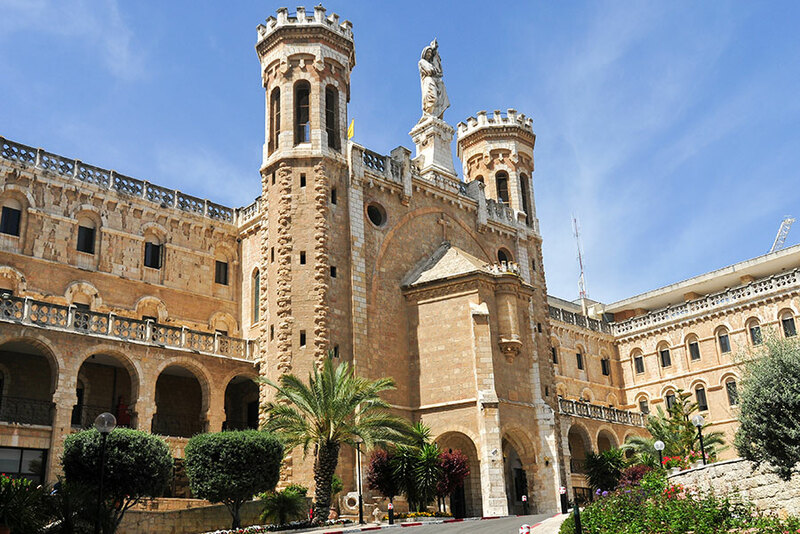 Then continue to Haifa where we will visit the church of Stella Maris and see the cave where the prophet Elijah used to hide. 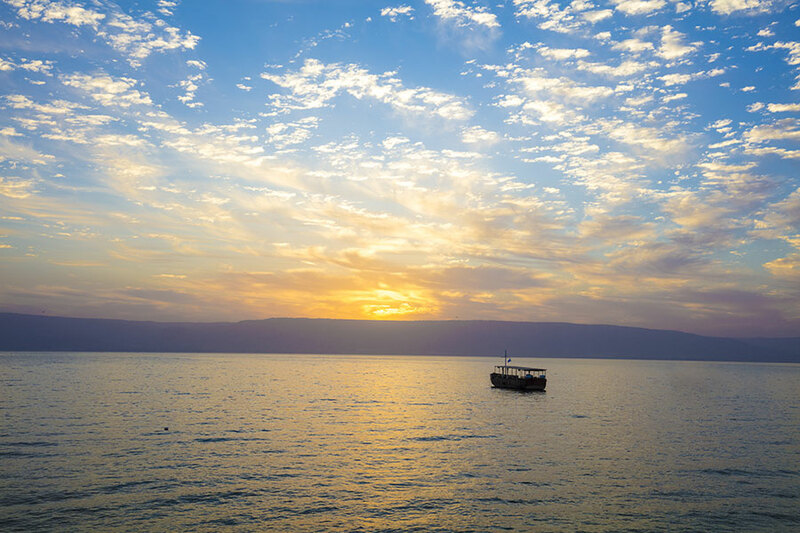 Then proceed to Tiberias for dinner and overnight. B/L/D (Mass). 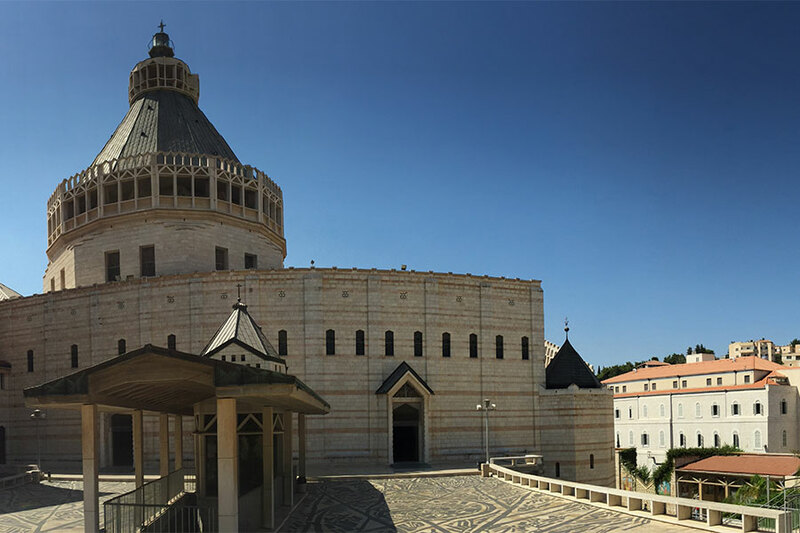 After breakfast, we drive to Nazareth, where we visit the Grand Basilica of the Annunciation and the St. Joseph Church. Then we stop at Cana, where Jesus performed his first miracle by turning water into wine at a wedding. Its modest church is a suitable place to reconfirm wedding vows. We then drive to Mount Tabor, the Mount of the Transfiguration (Matthew 17:1-8). From the top of the mountain there is a wonderful panoramic view which extends from Mt. 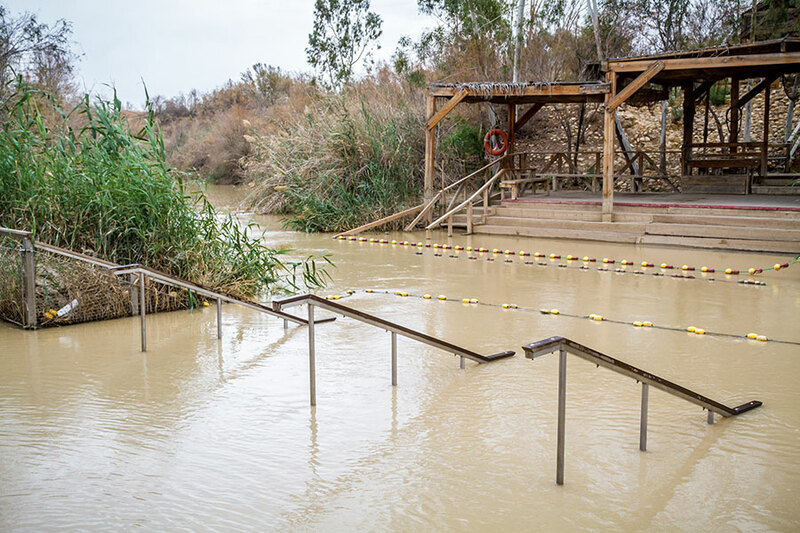 Hermon in the north to the hills of Samaria in the south. Back to the hotel for dinner and overnight. B/L/D (Mass). 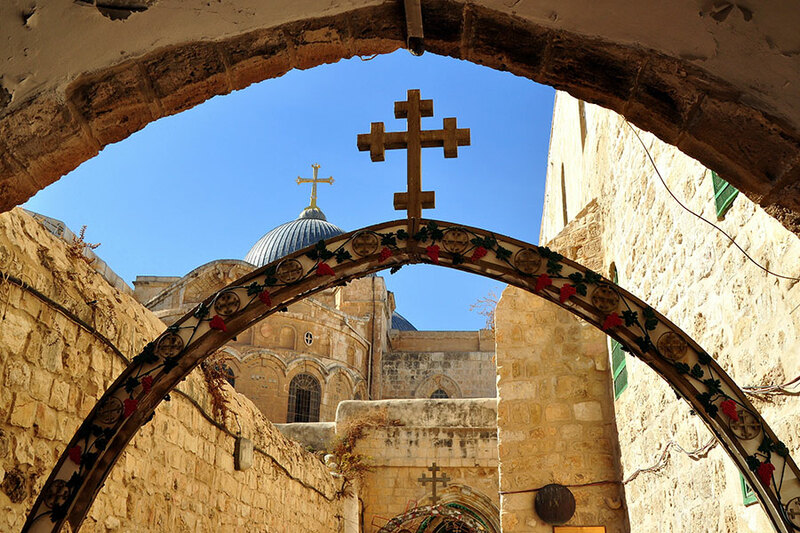 After breakfast we drive to Bethlehem to visit the birthplace of Jesus which is marked by the Basilica of the Nativity and to kneel at the place of his birth in the Grotto of the Nativity. We will also visit the Field of the Shepherds where the Angel of the Lord proclaimed the good news of the birth of the Savior (Luke 2:8-18). Then back to the Hotel in Jerusalem for dinner and overnight. B/L/D (Mass) *Private adoration at Church of Agony at Gethsemane the evening. 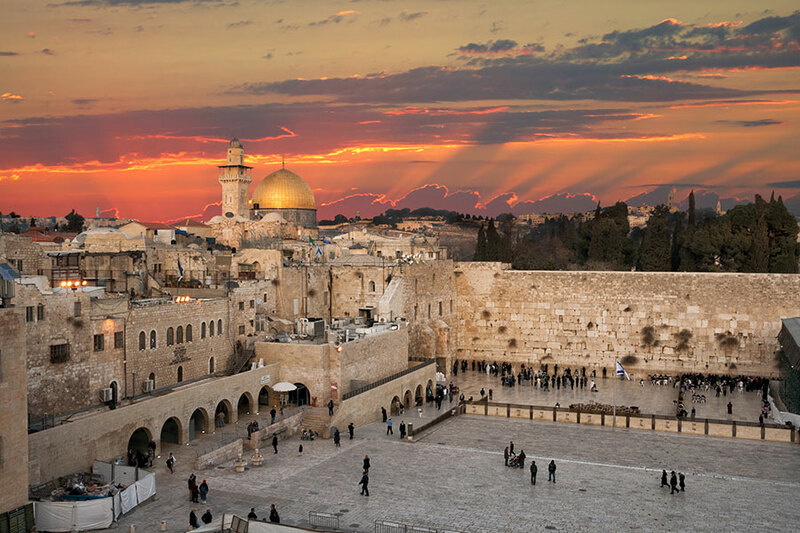 We begin this day after breakfast driving to the top of the Mount of Olives, for a majestic view over all of ancient and modern Jerusalem, the center of the biblical world. 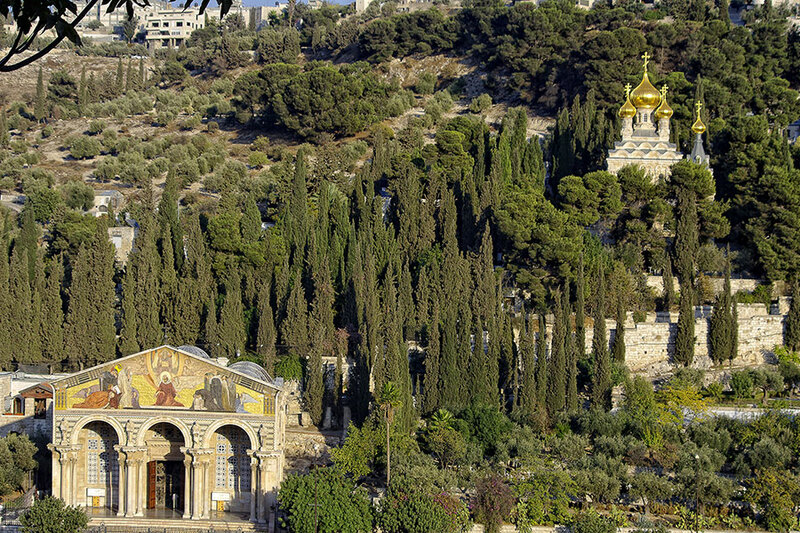 the Pater Noster Church and the Chapel of Dominus Flevit (Jesus wept) before walking down the "Palm Sunday Road" to the Garden of Gethsemane and the Church of All Nations (Basilica of the Agony) where Christ prayed on the night of His betrayal (Luke 22:40-46). 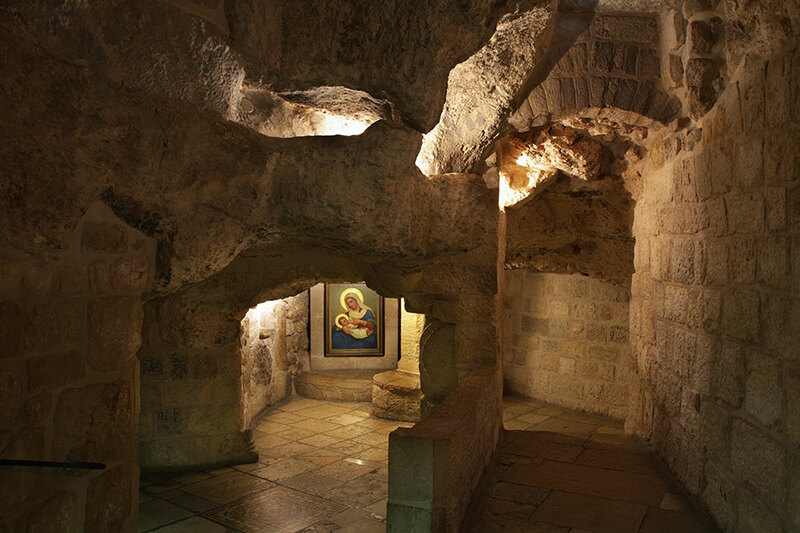 Next, we drive to the Upper Room, and the Dormition Abbey on Mount Zion. After we will visit the Church of St. Peter in Gallicantu (Palace of Caiaphas). Back to the hotel for dinner and overnight. B/L/D (Mass). *Adoration at St. Peter in Gallicantu. Today is a walking tour within the walls of the Old City of Jerusalem, visiting the Pools of Bethesda, where Jesus healed the man who had been crippled for 38 years (John 5:2-9), and the Church of St. Anne where there is an opportunity to sing a hymn before walking along the Via Dolorosa (Way of the Cross) from Pilate's Judgment Hall to the empty tomb in the Church of the Holy Sepulcher. Dinner & Overnight at our Hotel. B/L/D (Mass). November 2: Tel Aviv - U.S.
After an early breakfast, we check out of the hotel to transfer to the airport and our flight home.